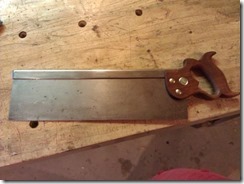 This is a Warranted Superior 26” 4 tpi Rip. 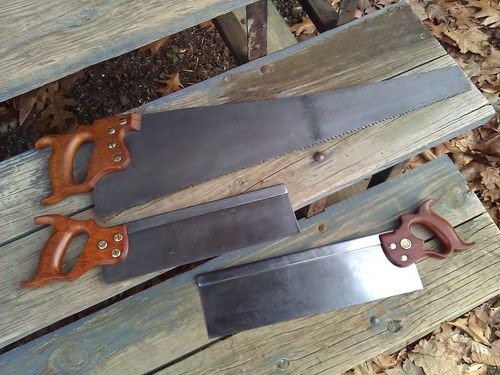 All are basic restores. 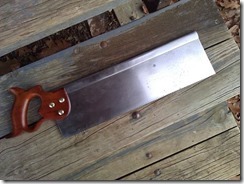 Soak in evapo-rust. Wire-brush, sand and polish. All handles were sanded down to 500 grit and given a few coats of BLO. 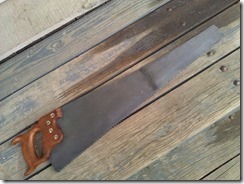 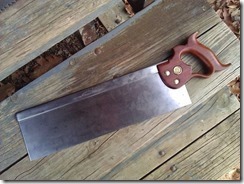 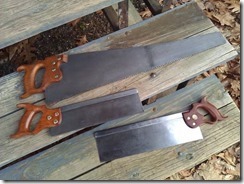 I have sharpened to 2 back saws. 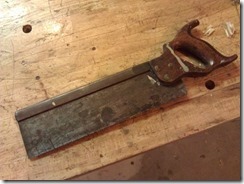 The rip saw will get sharpened once I get a few new files. 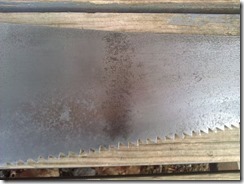 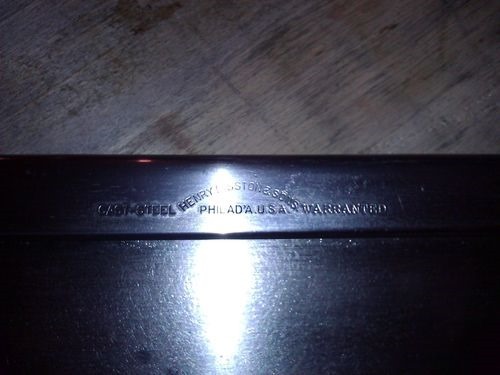 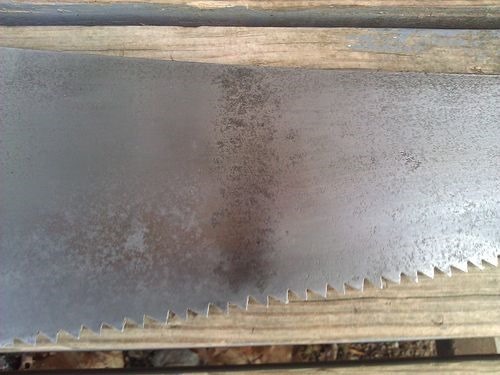 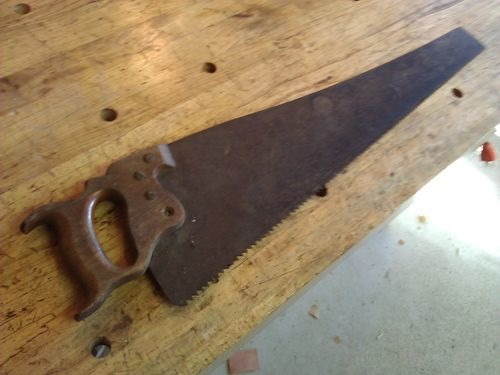 This saw has some minor pitting on the blade. 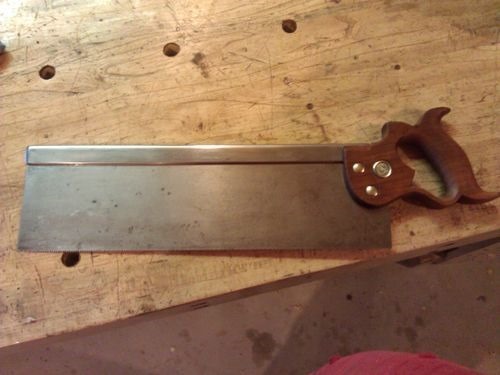 I cleaned it up and wire brushed it. 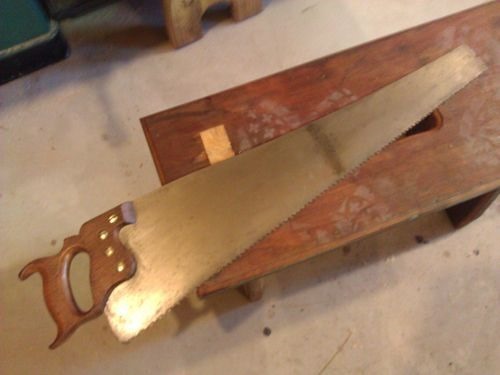 I decided not to sand any further. 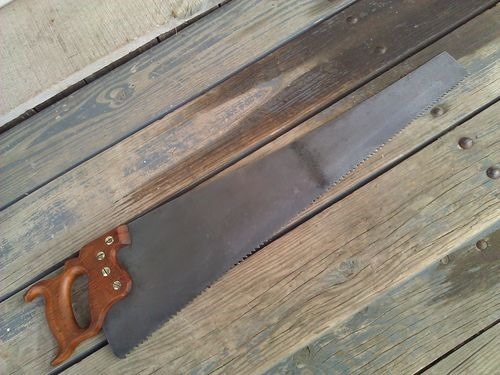 The character is fine for my shop. 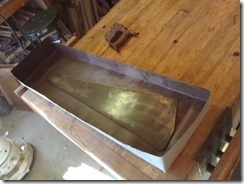 I have a few more to do, so I made a soaking tray. 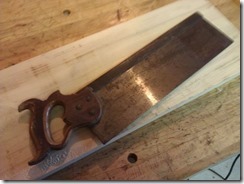 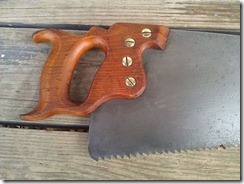 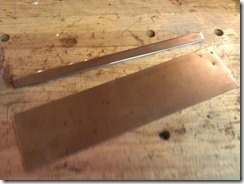 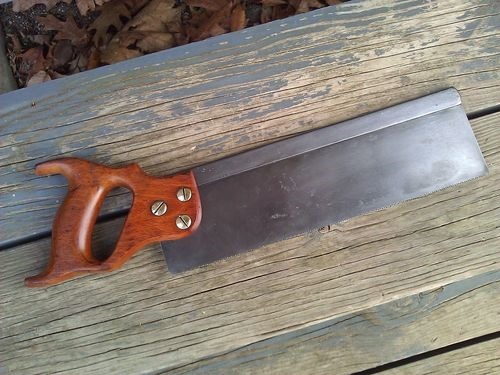 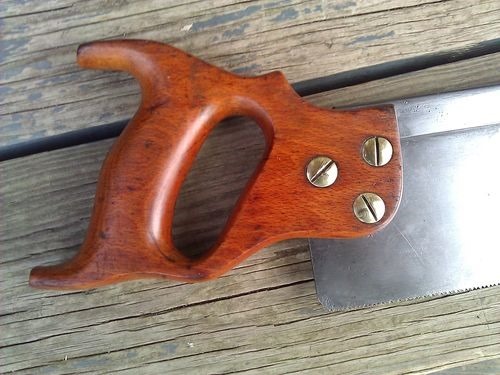 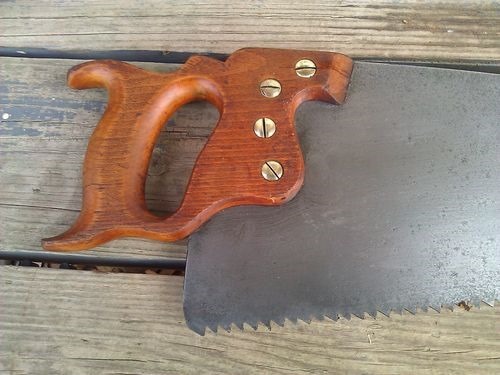 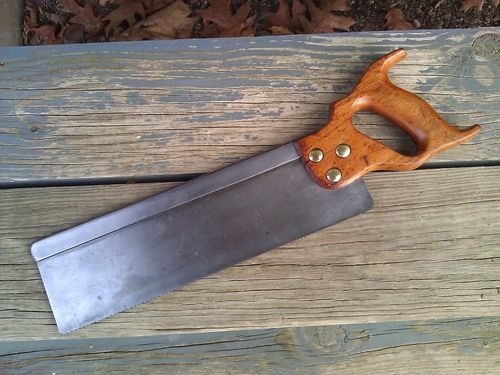 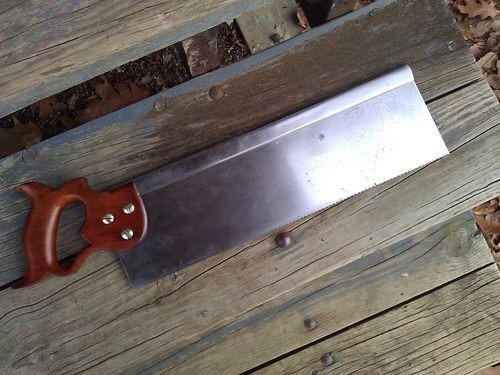 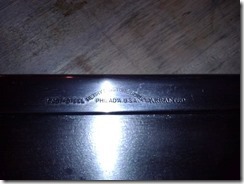 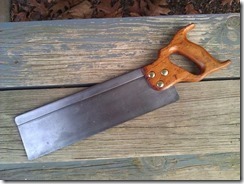 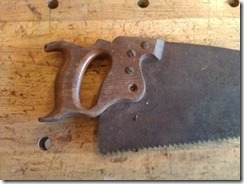 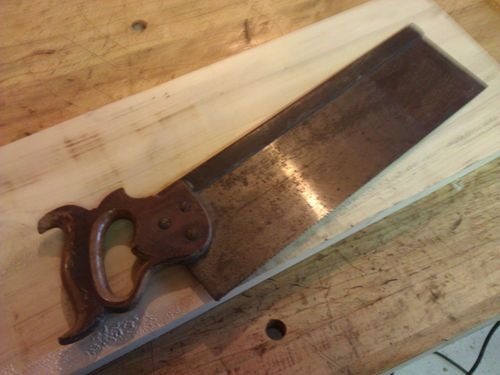 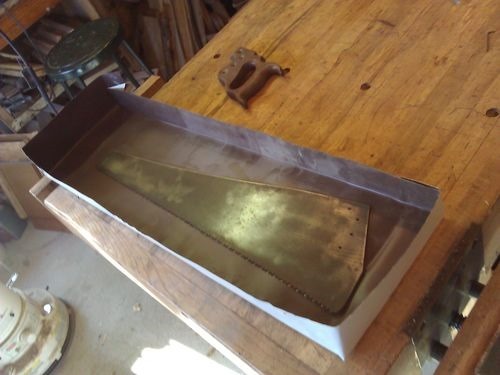 I have one similar for hand planes, but it is to narrow for the bigger saws. 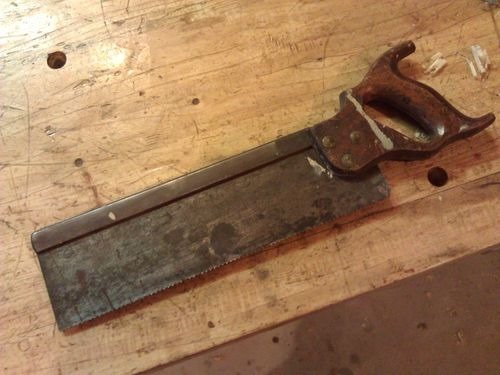 I replaced the missing screw off another parts saw. 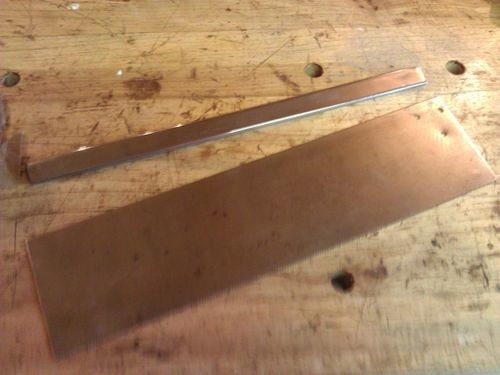 I’m not sure what would have caused this rust line. 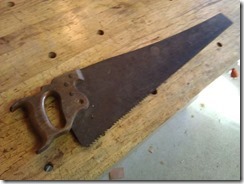 The saw is perfectly straight, so it wasn’t bent. 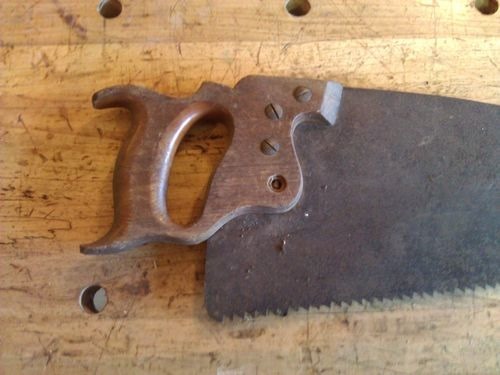 It shouldn’t effect the use, and I didn’t want to sand enought to get it out.